“It is the coup de grâce of the old system,” said Chas W. Freeman, a former United States ambassador. “Gone. 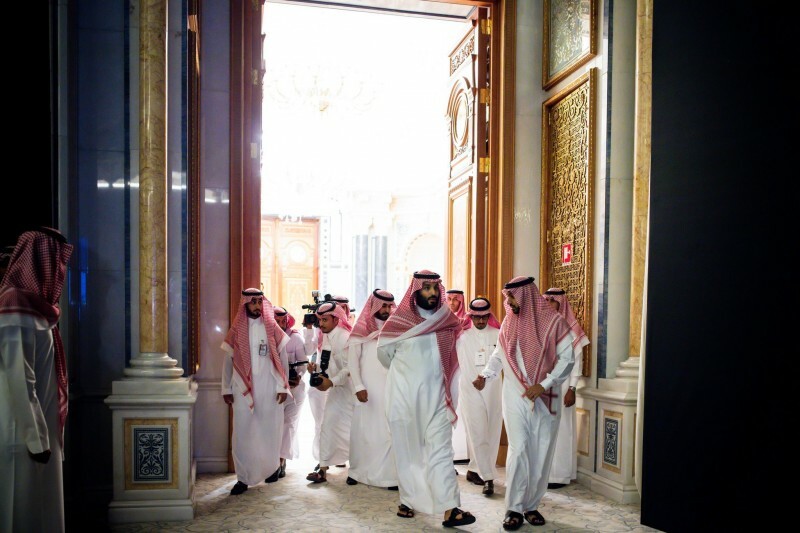 All power has now been concentrated in the hands of Mohammad bin Salman.” Why the crown prince acted now — whether to eliminate future opposition or perhaps to crush some threat he saw brewing — was not immediately clear. David D. Kirkpatrick (November 5, 2017). Saudi Crown Prince’s Mass Purge Upends a Longstanding System. The New York Times. The "bromance" between Saudi Arabia and Russia, following King Salman's historic visit to Moscow just a month ago, targets a dramatic reduction in oil output, helping Russia resist the US sanctions and allowing the King to do some long-overdue housecleaning. This unusual cooperation between Saudi Arabia and Russia is a direct result of America's geopolitical weakness caused by the epic power struggle gripping Washington. Nothing to be done here: the Russia probe will have to run its course, which will last months, if not years. For the duration of this murky process America's foreign policy will be ineffective, if not paralyzed. Was this the Kremlin's end-game all along? Too Machiavellian for my imagination, so probably not. The Kremlin attempted something in 2016 and got a mixed bag of results. The Kremlin got the lemons, so now it's making lemonade, while the US is trying to figure out if someone named George Papadopoulos met with this or that Russian official and discussed something that may or may not be significant.